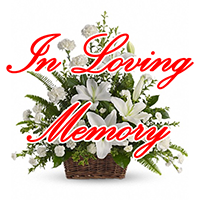 Calvin F. Yeary, Sr., 88, of St Cloud, FL Passed away on Thursday March 21, 2019. He was the retired City of Melbourne Water Treatment Plant Manager, moving here in 1962 from Chattanooga, TN, was a member of The First Baptist Church of Melbourne and enjoyed gardening and building things. Survivors include his wife Doris, sons Fred, Jesse and daughters Brenda Cox and Lynda Stevenson and 30 grandchildren. A memorial will be held on Saturday March 30th at 1pm in the First Baptist Church of Melbourne.